Today Delta is showing a large number of interesting price drops from Victoria, BC to a variety of destinations in the U.S. In many cases, they are actually cheaper than from YVR, which is rare. Being a smaller airport, YYJ doesn't see great deals nearly as often as YVR. It's nice to see Vancouver Island get a little love ! UPDATE 4/19 @ 4:32 PM PST - July & August 2016 dates are now available for some destinations at $229 CAD roundtrip including taxes! 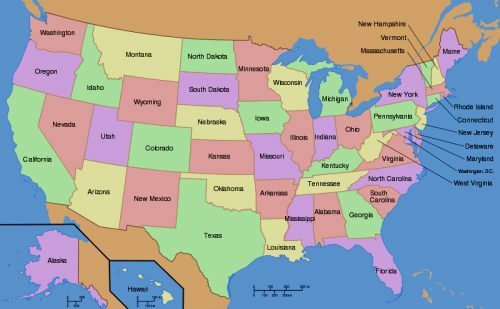 Including: Los Angeles, San Francisco, Seattle, Las Vegas, Sacramento, Orange County (Disneyland), Phoenix, Boise, Denver, and Portland ! 1. Start with a Google Flights search. 2. Click on the departure date box to open up the calendar view and look for other cheap date combinations. 3. Click through from Google Flights to the Delta website for booking. Update 5/17 @ 11:00 AM PST - Victoria to Bozeman, Montana is now available for $229 CAD roundtrip including taxes in June, July, or August 2016. It's a 3 hour drive from Bozeman to Yellowstone National Park. 2. Search for a flight from Victoria (YYJ) to Bozeman, Montana (BZN). Select the 'Flexible Days' option. 3. Try dates in June, July or August 2016. June and August seem to be pretty wide open for dates, while in July, it seems like you need to come home on a Saturday. 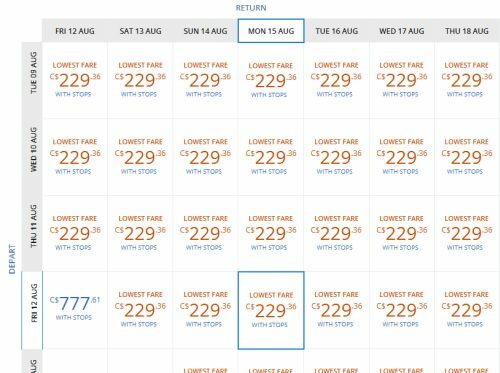 flight deals, seattle, sea, san jose, california, sjc, florida, delta, orlando, mco, boston, bos, chicago, ord, ontario, new york city, washington dc, united states, victoria, yyj, phoenix, phx, dca, jfk, salt lake city, slc, denver, den, las vegas, nevada, san francisco, sfo, north america, austin, aus, texas, massachusetts, new york, utah, los angeles, lax, san diego, san, washington, sacramento, smf, orange county, sna, disneyland, fresno, fat, arizona, colorado, portland, oregon, pdx, reno, rno, illinois, ont, anchorge, alaska and anc. 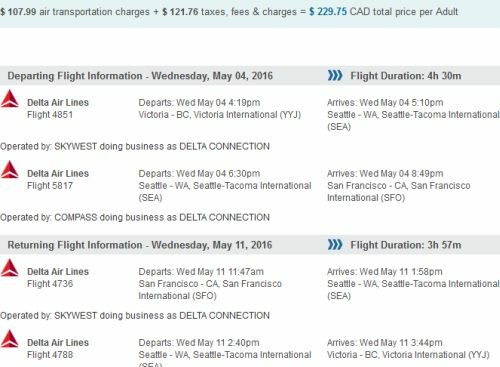 5 Responses to "Victoria, BC to a variety of U.S. destinations - $222 to $330 CAD roundtrip including taxes"
Thanks for including these YYJ deals. Many of us on the Island receive and mon itor your updates. Love this! Check out fares to/from DTW (South Western Ontario) $C185/$C172. Also check routing inc YYZ . If have only Carry on can do a Hidden City stop at YYZ instead of DTW. Do Internet search for Hidden City Air Fares"
Can i purchase the Victoria Flight to Las Vegas, with 2 hours layover to Vancouver and only take Vancouver to Las Vegas/Las Vegas flights? Eula: Unfortunately, when a passenger intentionally misses a leg of a flight, the airline will usually automatically cancel the remainder of the ticket.